→ 2019: Media Luna Oct 26-Nov 2, 2019 ROATAN RODEO Week #3 Featuring Scuba Cowboy, Diver's Yoga, COSTUME CONTEST & MORE!!! Clear and warm waters, great visibility, dramatic walls & swim-throughs. Turtles will accompany most of your dives, Moray Eels,Eagle Rays, Groupers, Barracudas and an incredible variety of small creatures like Flamingo Tongues, Blennies, and many many more together with a new entry like, the Lion Fish just lately and involuntary introduced to our eco system. This will be the LARGEST Single's Week ever...LOADED with 3 boat dives a day for 5 days, all meals, sodas, water and local/house alcohol and UNLIMITED shore diving. Roatan is an easy location for all levels of divers. No special qualifications required. **Cash Discounted Price is given when you select e-check at final checkout. Costume Contest with Huge Prizes - Yes it will be a FULL BLOWN ROATAN BASH THEMES and we'll have prizes for the best Costumes and the MOST ORIGINAL Costumes!!! So get creative!!! FREE Events & Workshops courtesy of the Partner sponsoring each week including DIVING YOGA, DIVING HEALTH & DIVING WELLNESS!!! Feel better and enjoy our sport more! FREE CONCERTS by Pup The Scuba Cowboy!!! Instruction/Classes - will be available on this trip. Please let us know what you are interested in? TRIP Insurance- It is STRONGLY RECOMMENDED. See INSURANCE Tab below for recommendations. Rental prices are usually accurate but are subject to change which is why we say "approximately". Please tell us IN YOUR PAYMENT COMMENTS or in the Trip Thread/Topic in our forums if you need to rent gear. We must let the resort/operator know in advance for provisioning purposes BUT you will pay the resort/operator directly once on your trip and you will not pay SingleDivers.com. An amazing shark dive that includes a shark feeding and seeing these amazing animals up close and VERY personal! 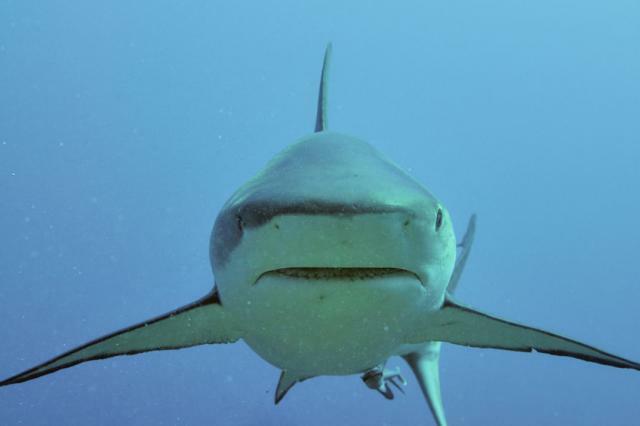 If you love diving or just if you're fascinated by sharks you can't leave Roatan without doing the shark dive. 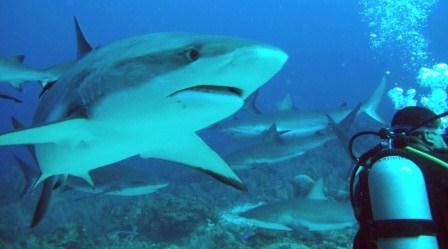 3 dives daily with up to 20 sharks per dive frequently seen. You're on vacation, so why not spoil yourself a little with a spa treatment? There is an Elisir Day Spa in each of the HM Resorts hotels and resorts. Here you can really relax and unwind and receive a little pampering with a facial or a body massage or perhaps you need to catch up on some personal grooming and you've finally found the time. Whether you're after a simple leg wax or an indulgent 90 minute spa treatment, Elisir will not disappoint. Our professional beauty and massage therapists are here to de-hair, de-stress and generally make you feel relaxed and wonderful. The ELISIR Spa offers a complete series of treatments – nails, facials and body massages as well as a wide range of aesthetic and anti-aging remedies of the highest quality and experience. Such age defying techniques follow the strictest guidelines recommended by Vagheggi Phyto cosmetics. A Canopy tour is often called by other names in different countries, either a treetop walk or a flying fox or zip-line experience. 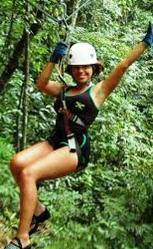 Come experience the wilds of Roatan with a tree top view you'll never forget! A butterfly and tropical bird sanctuary at West End, Roatan. You have to 'see' it to believe it! 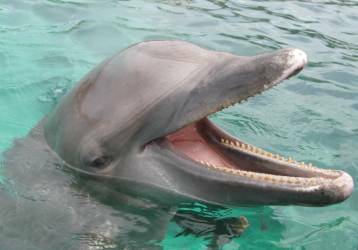 Watch the dolphin show each day or if you want a more personal experience and something you will never forget, sign on for the Dolphin Swim & Snorkel. There are a few different options for horse back riding in Roatan but they all offer pretty much the same thing. HM Resorts offers complimentary sea kayaks and many of the dive shops offer sea kayaking tours if you prefer the security of a guide. Roatan's Marine Park is a conservation group who educate people of the needs to keep our oceans clean. The Roatan Marine Park takes in volunteers for water and fish surveys as well as monitoring the dive shops in the area to ensure they are not damaging the reef. Gumbalimba park offers something for everyone with tame tropical birds and monkeys to play with and feed, kayaking and sailing or horseback riding will keep the whole family entertained. Punta Gorda is a village on the north side of Roatan where the traditional folclor dancing is performed by the Garifuna ladies – they put on a great show. Exactly what it sounds like – a farm of iguanas. Here you can handle Iguanas which used to be a popular meat for stew on Roatan – but these days they're protected. 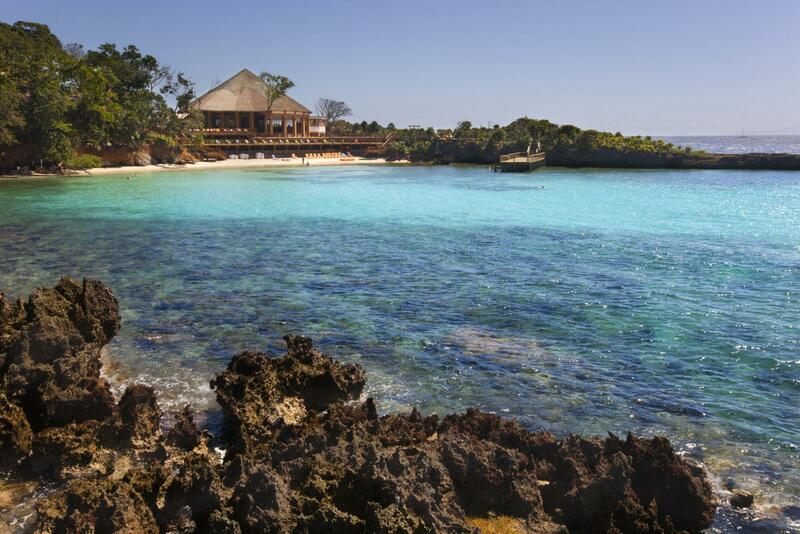 If you want to explore the Island on your own just rent a car at any of our resorts with your Guest Relation. Budget Rent a Car offers a great service for all our clients at HM Resorts. See the island by renting a scooter or a motorcycle. We also rent: cell phones to call home, DVD movies and DVD players, as well as 3G modems to stay in touch online. For your convenience, we are located in West Bay and in West End. You must use the code when you book as they are not retroactive after you sign up UNLESS otherwise stated like the member rebate etc. We are sorry for any inconvenience this may cause but the accounting expenses of manually trying to do the discount is far exceeding the discount amount making it very prohibitive to manage this way. So please be sure to use the discount code AT TIME OF INITIAL BOOKING. Only one (1) coupon code can be used per order. Deposit by Aug 15: Get (1) chance to win FREE Scuba Cowboy CD signed by the artist! Cash Discount: Use our e-check option to pay for your trip and our RED CASH DISCOUNTED PRICES will be applied at checkout. THE HOUSE REEF IS NEXT TO CALVIN'S CRACK ONE OF THE BEST DIVE SITES ON THE ENTIRE ISLAND!! The Media Luna Hotel is made up of a plethora of detached villas that are luxurious and spacious, separated from the lobby and entertainment area of the hotel to ensure maximum relaxation and privacy. The lobby and entertainment area is a relaxing and serene place to check emails, get a drink or just watch the ocean. 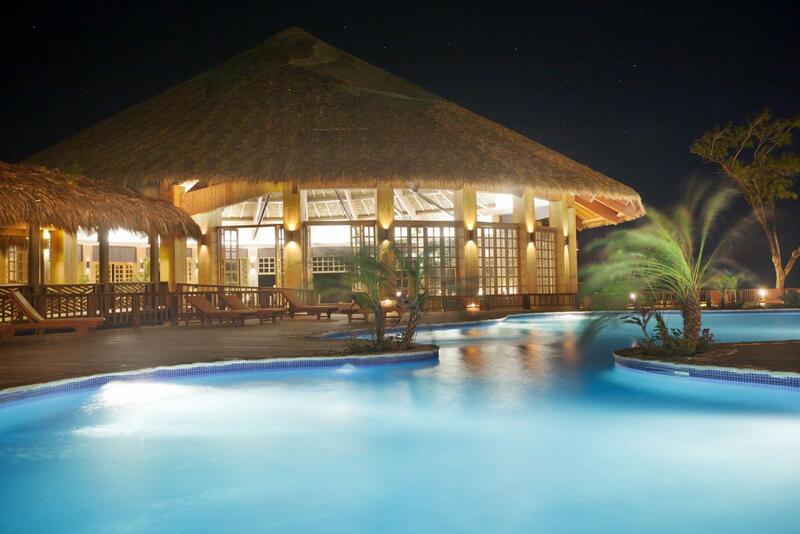 The pool is situated between the hotel and the aqua water of the North end – home of the islands BEST DIVE SITE. Media Luna is very relaxing and tranquil..far away from all your worries and cares. 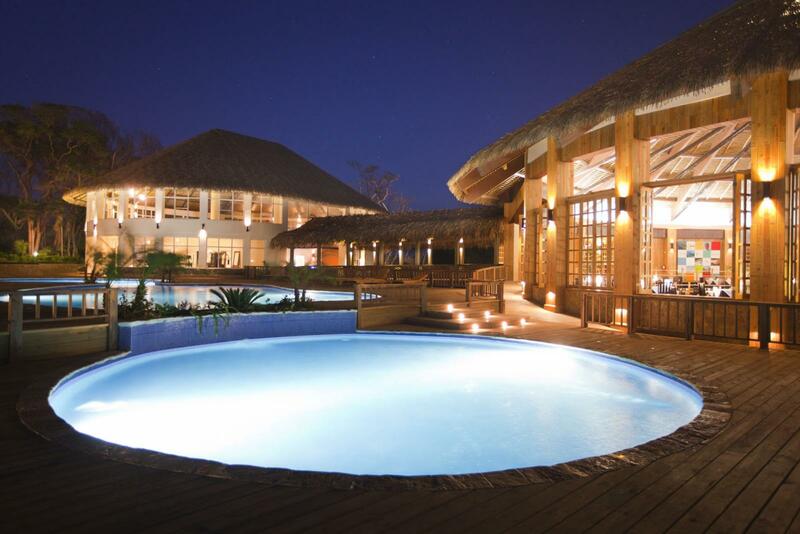 Stay and dive or just relax and you too will see why so many guests return. At Media Luna Hotel and Beach Resort we have Single rooms with a King size bed, Double rooms with two Queen size beds, Triple rooms with 1 King size bed and 1 single bed and a luxury, private Suite for those special occasions. 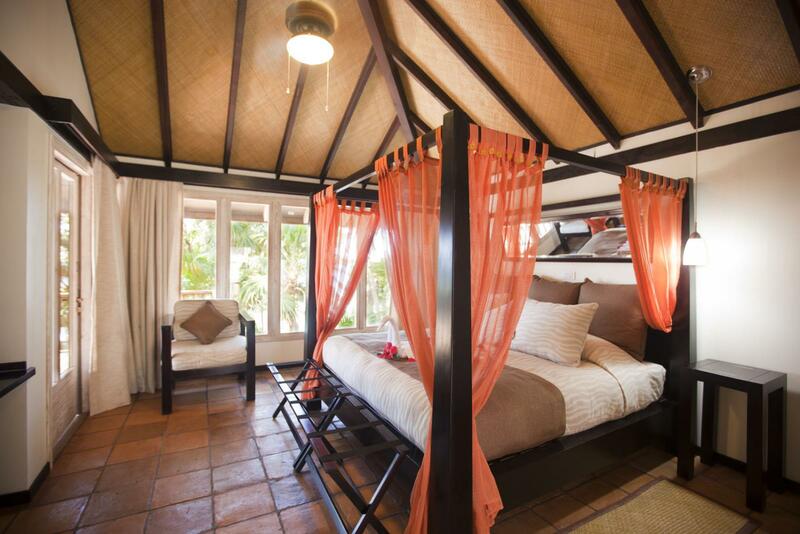 Each room is furnished with a spa like private bathroom and hot water and equipped with a fridge, hair dryer and the all important air-conditioning and satellite television – although we do hope you will be outside enjoying the Caribbean weather most of the time. Each of the Media rooms has a private balcony/pat with hammock, hard wood floors and comfortable furniture if you want to spend some time in your room. The rooms have been designed with a natural spa type look and feel, natural colors with dark woods will surround in relaxation! Media Luna has a full service bar right next to the restaurant and just off the lobby. The bartenders are friendly and will serve you mixers if you bring a bottle or two from Duty Free. The snack bar is part of the bar area for a mid day munchie. Some of Roatan's best diving is right off the shore right off the resort. Night Diving We can do a boat night dive for $60 per person. We need a minimum of 10 people. Max Depth: 20-130ft but mostly very easy wall and drift diving as well as easy return to the boat dives. Water Temp: ave 84+ degrees F Air Temp: High 80's to low 90's degrees F.
Entertainment by Pup Morse the Original Scuba Cowboy! Getting to Roatan RTB is very easy thanks to the Roatan international airport, named Juan Manuel Gálvez International Airport (RTB), that has regular scheduled service from Houston, Atlanta, Miami and New York. Please check online or with your travel agent for pricing and schedule information. After you make your reservation, please include your flight arrival/departure information in the booking template. Airport pickup and transfer service is arranged based on this. 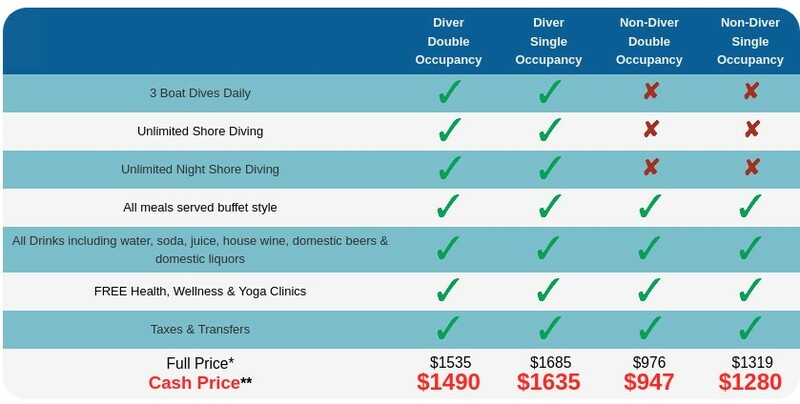 If you would like SingleDivers.com to research and/or book your airfare ticket for you, we will be happy to do so for a $30 research & booking fee. Please note that A U.S. passport valid for at least 3-months from the date of entry is required to enter Honduras. Though not required by law, some travelers have reported difficulty departing Honduras using a passport with less than three months of validity beyond the date of departure. A visa is not required, but tourists must provide evidence of return or onward travel. U.S. citizens are encouraged to carry a photocopy of their U.S. passports with them at all times, so that if questioned by local officials proof of identity and U.S. citizenship are readily available. For other global citizens, please review Roatan visa requirements posted on the Internet. Trip Insurance is STRONGLY SUGGESTED and/ is NOT required on this trip! TRIP insurance is RELATIVELY inexpensive. Even if you have insurance that you think covers your trip…it is CHEAP (approx $100-$200) to get a supplemental policy to ensure you are covered for your investment in your dive trip. If you opt to not get trip insurance you are responsible for all losses related to your trip including not going for any reason. If diving a LIVEABOARD please consider the liveabaord rider offer by DiveAssure.com. Our weekly itinerary will consist of 5 days of 3 tank dives starting on Sunday and ending on Thursday. We will also schedule an optional night boat dive for those interested as well as other diving "must see's" such as the shark dive, other special diving islands etc. Stay tuned for more details! Diving in Roatan offers something for all skill levels with 60-90 ft of vis, mild currents, walls and water temps in the low to mid 80's this time of year. All diving is provided by Subway Water Sports resident on the beautiful property of Turquoise Bay! While OUR personal Roatan Single's Week Experience may vary due to weather and conditions, the outline below will give you a good feel for the exciting week in store for us! KEEP CHECKING BACK AS MANY ACTIVITIES ARE STILL BEING LINED UP FOR THESE TWO AMAZING WEEKS OF FUN IN THE SUN AND CRITTERS IN THE SEA!!! Sunday:- Early yoga session before breakfast, 3 dives today plus a chance to try out some fantastic BIG BLUE LIGHTS!!! And Big Blue will do a full product overview of their product line with chances to win a Free Light! Of course there will be music by Pup the Scuba Cowboy. Monday: Yoga before breakfast, 3 boat dives and MORE chances to use BIG BLUE LIGHTS for FREE! Dive with the Scuba Cowboy and learn to hunt lionfish for those interested. Tuesday: Dawn Yoga, 3 boat dives and our FIRST NIGHT DIVE!!! This is where Big Blue's Lights REALLY SHINE! (Don't forget to enter the FREE NIGHT DIVE PROMO by buying Big Blue before the trip!) Of course there will be tunes by the Scuba Cowboy! Wednesday: Early AM Yogo, 3 boat dives and our SECOND NIGHT DIVE...don't miss a chance to showcase your fave Big Blue Light! More chances to hear Pup play! 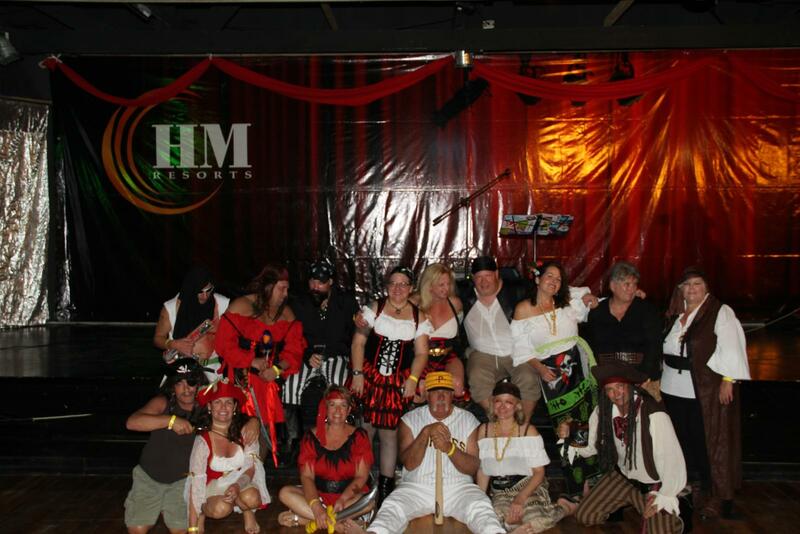 Thursday: Pre-breakfast Yoga, 3 boat dives and our FAB COSTUME CONTEST! 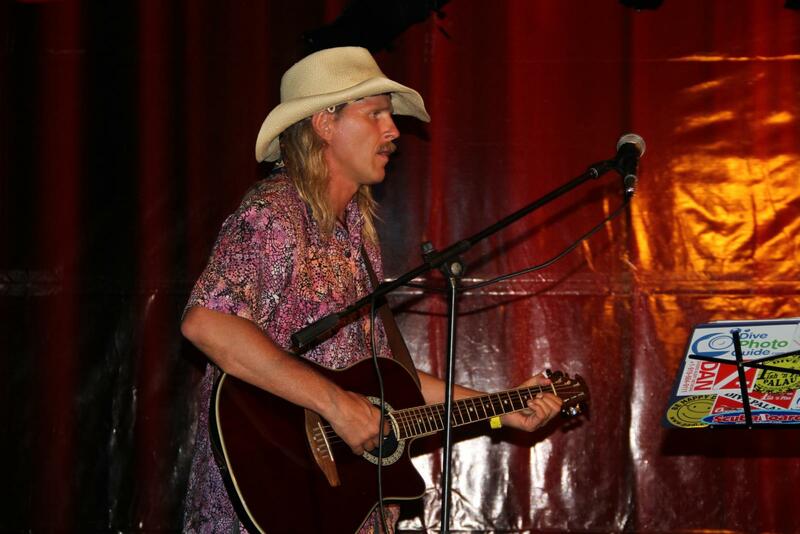 Music by the Scuba Cowboy and an all around FAB WAY TO WIND DOWN THE WEEK! Saturday: This is departure day and the end of our exciting week in this fun Caribbean isle. Do keep approx $15 for your exit tax out of the country in case it is not included in your airline ticket. You can depart ANYTIME today. DAYS AFTER YOUR TRIP: For those who opt for the add'l extra days your departure date will vary but the process will be the same. We will help you find a roomie for extra days...we just can't guaranteed it so just let us know! Minimum Certification / Experience: ROATAN diving is open to ALL levels of certification OW and up, at most experience levels. Roatan is decent for beginners and great for intermediate and beyond! NOTE If you are a new diver with 10 dives or less please be prepared to hire a DM to assist you as you will be expanding your diving skills dramatically this week and you may not be able to do 1 or 2 dive sites but that's not a big deal with so many to choose froom. Edited by Blue151, 18 March 2019 - 05:13 PM. Back to 2019: Media Luna Oct 26-Nov 2, 2019 ROATAN RODEO Week #3 Featuring Scuba Cowboy, Diver's Yoga, COSTUME CONTEST & MORE!! !